TOKYO (Reuters) -- Honda Motor Co. on Friday forecast a 3.6 percent rise in net profit for the year ending March 31, a sharp slowdown from the previous year, as foreign exchange rates stabilize after a steep decline in the yen boosted earnings. The company also said that its high level of capital spending will decline slightly this year as it continues an ambitious expansion plan, and that the start of operations could be delayed at a plant in Thailand, a key market that has been hit by political uncertainty. In the just-ended business year, Honda's net profit jumped more than 50 percent as new models including a redesigned Fit compact offset the impact of a missed sales target in the United States, its biggest market, where severe winter weather deterred showroom traffic and sales. Honda, like bigger peers Toyota Motor Corp. and Nissan Motor Co., has seen income jump over the past financial year in line with an almost 10 percent fall in the yen against the U.S. dollar, which boosted the value of overseas income when converted back into yen. For the year ending in March 2015, Japan's third-biggest automaker by sales volume expects to post 595 billion yen ($5.8 billion) in net profit, compared with the 700 billion yen mean estimate of 20 analysts polled by Thomson Reuters I/B/E/S. Currency moves are largely to blame for the slowdown in growth. After boosting Honda's operating profit by 288.7 billion yen in the year ended on March 31, foreign exchange moves will decrease profit by 67 billion yen in the current fiscal year. For the latest quarter to end-March, the automaker more than doubled net profit to 170.5 billion yen. Honda expects capital spending in the current fiscal year to fall to 650 billion yen from last year's 726.1 billion yen. 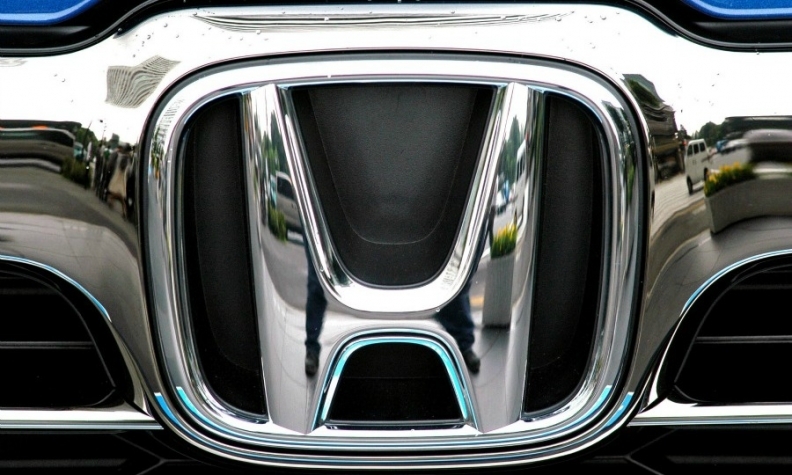 An executive said Honda will maintain that level over the next two years. "We have entered a stage in which we reap the benefits of our investments as we grow," Executive Vice President Tetsuo Iwamura said at an earnings briefing, although he added that it would be a challenge to meet its target of producing 6 million cars a year by 2016-17, from its current rate of 4.3 million. Honda plans to boost global sales to 4.83 million vehicles this financial year, up 12 percent.